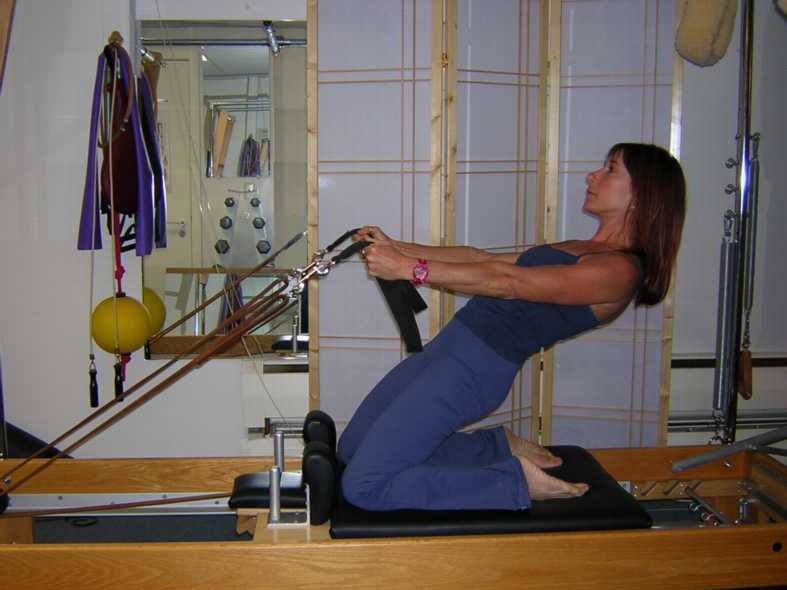 a customized Pilates based training	program offered	by Susan Spero at	the	p2 Pilates Studio. is the greatest of follies." Pilates is "the science and art of coordinated body-mind-spirit development through natural movements under strict control of the will." heavily indebted to the work of famed exercise guru Joseph Pilates. struggling to repair his own body, which had been badly damaged in childhood. suffering from war time injuries (The soldiers' beds and bed springs were the first Pilates machines). spinal flexibility, could help them maintain the lithe, resilient bodies they needed to perform. The "Plus" in Susan’s method, however, cannot be quite so readily defined. Gyrotonic Sales Corp and are used with their permission.